Providing you the best range of centralize dust collector with effective & timely delivery. Centralize Dust Collector is a system, which is commonly used to enhance the quality of industrial air by the collecting of dust and other impurities from gas. It is designed using high quality blower and dust filter and developed to handle high volume dust loads. Our collector is highly demanded for its work efficiency, minimum power consumption and hassle-free performance. 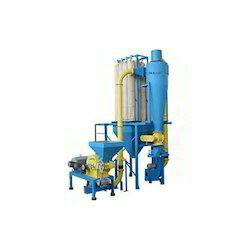 Looking for Centralize Dust Collector ?